Subscribe to the Addgene Podcast on iTunes! To learn more about Novophage's successful transformation into Sample 6 and Dr. Koeris' own transition from graduate student to entrepreneur, listen to our full interview with Dr. Koeris below. Check out the breakdown below the audio player to jump to specific subjects in the interview and happy listening! 19:56 - 24:41 : Who is using Sample 6 and why? 29:00 - 32:20 : What did It mean for Dr. Koeris to personally take on the risk of founding a startup company? 32:20 - 34:37 : Whose responsibility is it to take on the risk of developing products that are needed but that are high risk? 34:37-36:53 : Was It difficult for Dr. Koeris to transition from developing therapeutics to developing a diagnostic? 36:53 - 38:00 : As an entrepreneur, is it more important to develop something that could succeed in the market or to focus on a technology that one is passionate about developing? 38:00 - End : Dr. Koeris' role on the Addgene Advisory Board and how he hopes to help young biotech entrepreneurs. 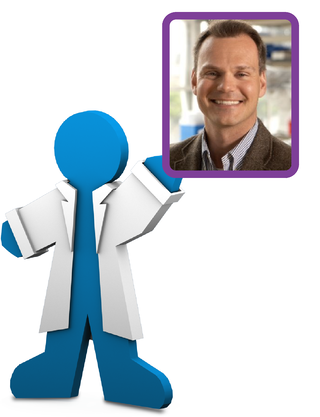 We'd like to thank Dr. Koeris for taking the time to talk to us and taking up a position on the Addgene Board of Directors. We're excited to watch both Addgene and Sample 6 grow with his help!